Temporomandibular Disorders, or TMD's, refers to a variety of conditions that can cause problems with the jaw muscles or jaw joint (TMJ). Some of the main symptoms include pain, discomfort, and clicking or grinding noises when moving the jaw, for example when you chew food. Our principle dentist, Paul Ager, is a TMJ Expert dentist, with a special interest and much experience in treating these conditions. 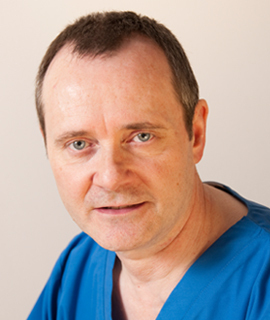 Paul has worked on the special TMD clinic at Manchester Dental Hospital since 2001, and receives many referrals from dentists whose patients are experiencing symptoms of a TMD. With many years of expertise, Paul can diagnose and treat these conditions. Pain or discomfort in your face, around the jaw joint, neck, shoulders or ears. Other symptoms include apparent toothaches, headaches, feeling dizzy and pain in the neck and shoulders. While the causes of TMD's remains a topic of debate, dentists know that there can be problems with either the joint itself or with the jaw muscles that control it. To diagnose a TMD, Paul will examine your temporomandibular joints not just for discomfort or pain, but also for clicking or popping sounds when your jaw moves. He will also check for locking or limited movement of your jaw and will check how your facial muscles are working. You may also need panoramic x-rays or other scans to rule out any other problems. If you are diagnosed with a TMD, Paul will give you a suggested treatment plan. Treatment for TMD's may simply require home-management methods. Often physiotherapy can be very helpful. Occasionally special splints or orthotics may be used. It is quite rare, but occasionally necessary for surgery to the joint to be needed.